This week we start the first of a four-part trip report covering the Midwest, including Kansas City, St. Louis and the NRHS Convention in Cedar Rapids, Iowa. This week we look at the trip from New Jersey to Kansas City. The plans for this trip came together when the National Railway Historical Society announced its 2012 Convention would be held in Cedar Rapids, Iowa. 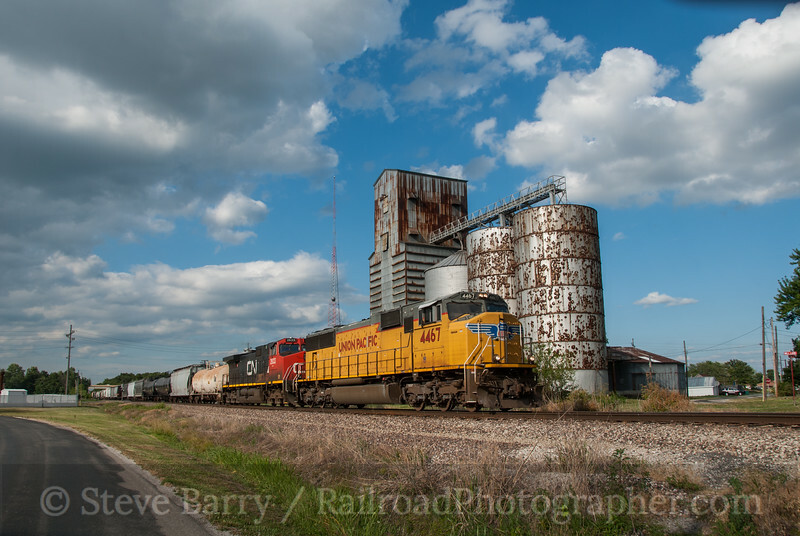 I had been looking at a trip to Kansas City, one of railroading's largest crossroads, for many years and K.C. was on the way to Iowa (sort of -- okay, you had to backtrack a bit and go a bit north to Cedar Rapids, but in the global view of things it was on the way). Departure from New Jersey with brother Bruce was on June 9, 2012, and most of the first day was driving. 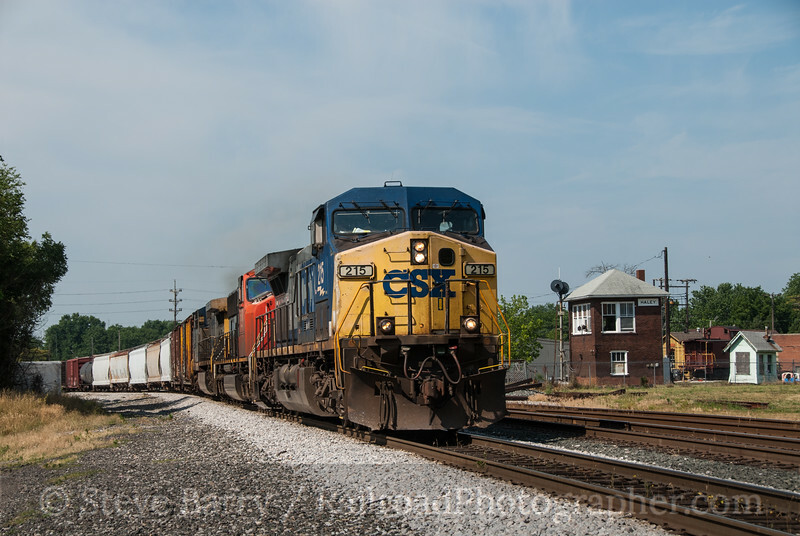 A quick stop was made in Columbus, Ohio, to meet up with Frank Ferguson and to shoot a somewhat boring shot of a Norfolk Southern freight, then it was on to Skyline Chili in Dayton for dinner and just east of Indianapolis to tie up for the night. The next morning found us hitting Terre Haute, Ind., first thing in the morning. 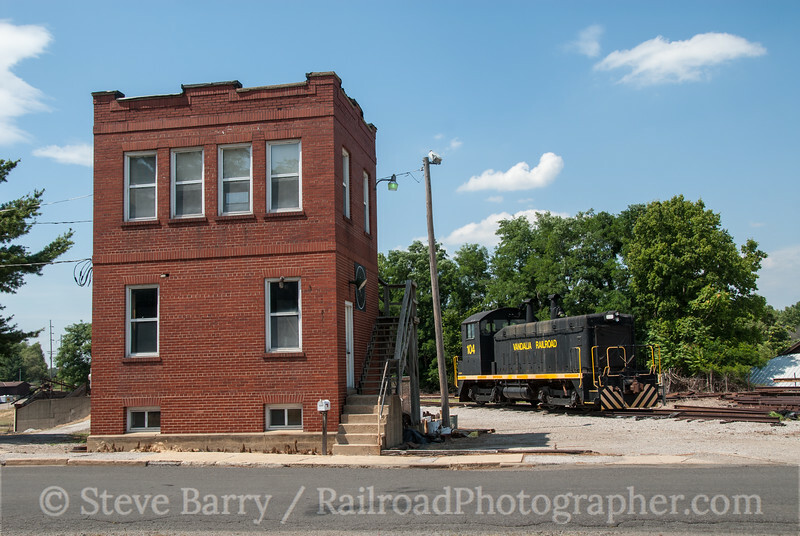 The Wabash Valley Railroaders Museum has moved two towers, Haley and Spring Hill, along with the depot from Turner, Ind., to its grounds adjacent to the CSX junction of its CE&D Subdivision and the former Conrail St. Louis Line. We got CSX trains both east and west here, then moved on to Effingham, Ill., where cloudy weather dogged our attempts to shoot Amtrak and CSX at the busy intersection of the former Pennsylvania Railroad (now CSX) and Illinois Central (now Canadian National). After trying to find the Effingham Railroad (its power was locked up indoors) we made our way to Vandalia, Ill., to check out the short line Vandalia Railroad there. Located along CSX's ex-PRR line, the railroad's office is located in a tower that once controlled the diamond of the Pennsy and an Illinois Central branch. The Vandalia operates on about three miles of the former IC, and its lone locomotive (an SW9) was spotted near the tower. Nearby, the former IC station (later converted to a restaurant) was a burnt-out shell. Next on the agenda was a stop at Litchfield, Ill., to check out another short line, but on the way we crossed over Union Pacific's ex-Chicago & Eastern Illinois line on an overhead bridge and spotted a headlight. A quick U-turn put us at the feed mill in Taylor Springs where we captured a westbound freight (lead photo). Once in Litchfield, we photographed Respondek Rail GP10 No. 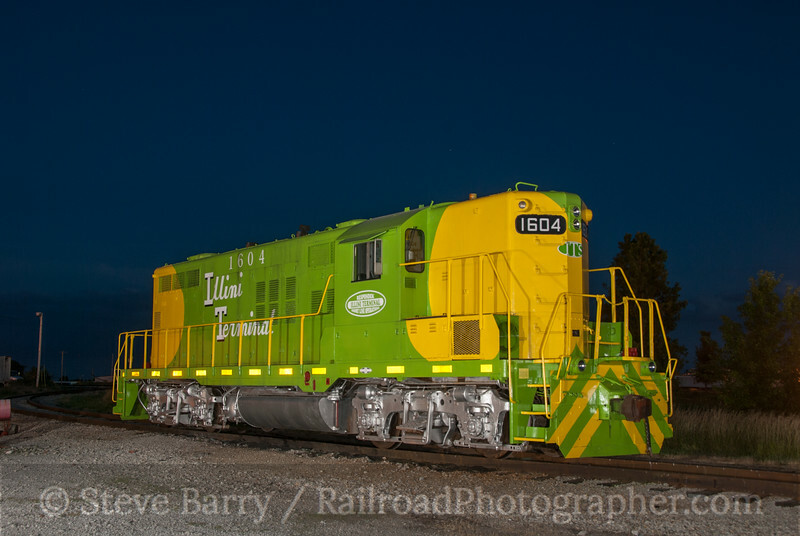 1604, tastefully painted in a slightly modified Illinois Terminal scheme (and lettered Illini Terminal). We busied ourselves chasing trains around Litchfield until dark, then photographed the unit after the sun set. It was then off to the St. Louis suburb of Collinsville, Ill. for dinner (Culver's was closed, so we settled for Steak 'n' Shake) and sleep. The next morning found us poking around East St. Louis, Ill., hoping to get a view of Amtrak's Texas Eagle coming off the MacArthur Bridge with the Gateway Arch in the background. 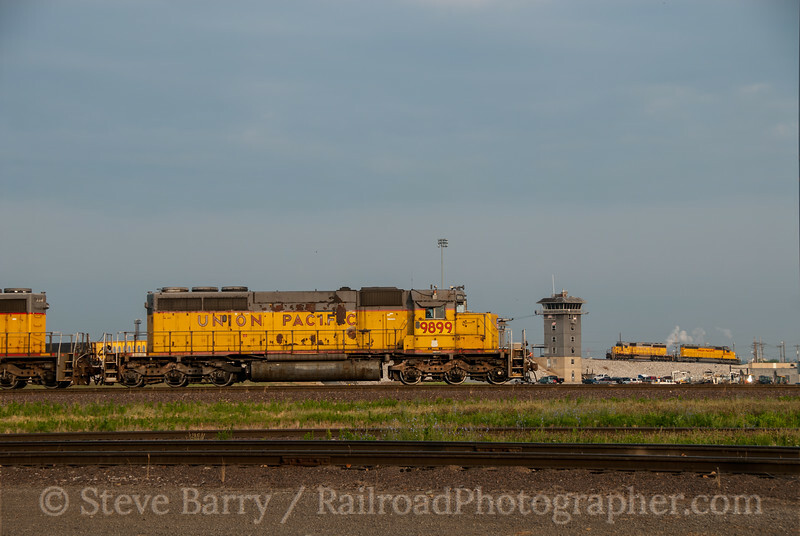 Unfortunately, approaching storms brought clouds to the sky before we could get the shot, but we did manage to get Union Pacific power working the hump at Gateway Yard in sun. With serious storms approaching, we decided to make a break west and drive through the (sometimes intense) rain. 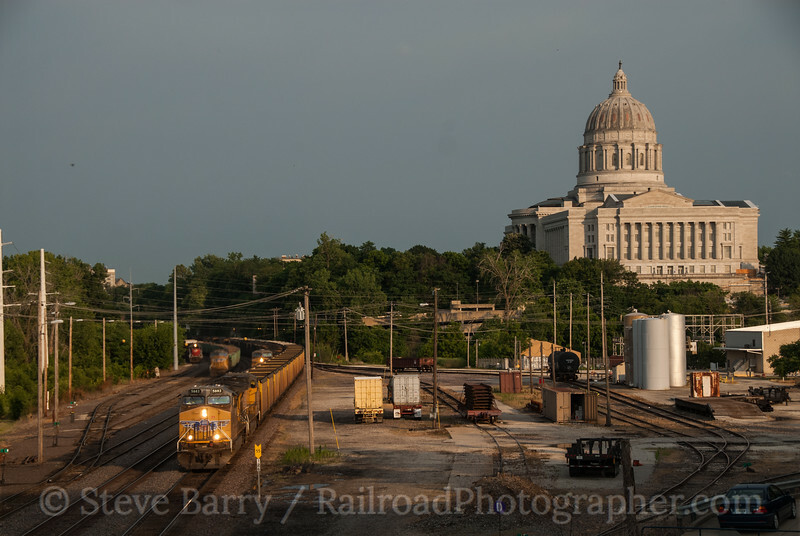 We really wanted a westbound train with the capital building on the hill in the distance, and we would prefer it if an eastbound train wasn't in the shot. It took a lot of patience, but finally the sun and the trains lined up for the shot we wanted. Once that was in the bag, we headed for Kansas City for the next part of our adventure. Next week -- Kansas City! A little bit of New England history was more or less recreated on May 21-22, 2012, when the Valley Railroad teamed up with Lerro Productions to present a photo charter in Connecticut. 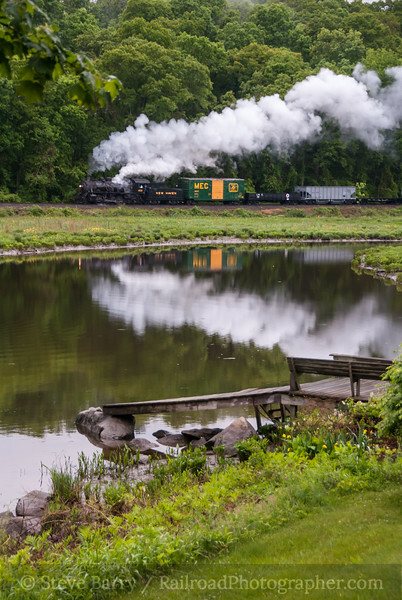 A small branch line freight train ran along the Connecticut River to the delight of about 50 photographers. Valley 3025; Deep River, Conn. 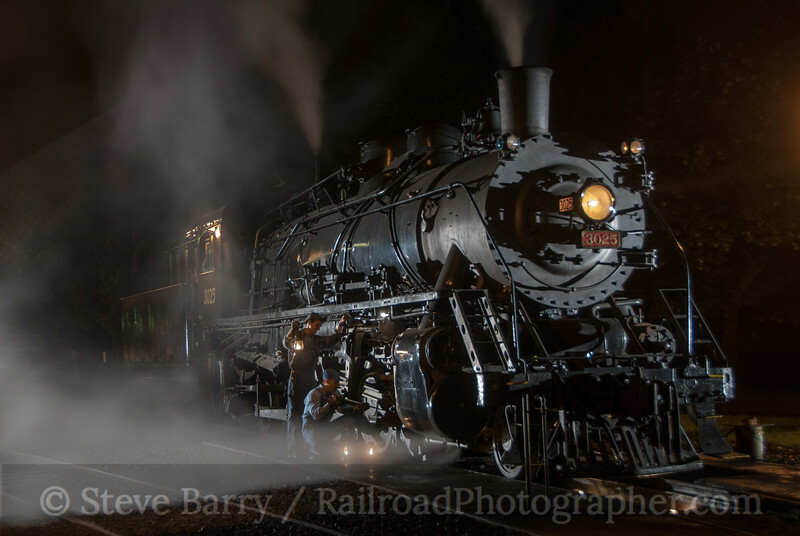 The star of the show was Valley Railroad 2-8-2 No. 3025. The locomotive was built new in China in the late 1980s and was imported for the Knox & Kane Railroad in Pennsylvania. Following a fire that damaged or destroyed much of the K&K's rolling stock, the Valley bought the locomotive at auction in late 2008. Over the next three years the locomotive would lose much of its Chinese look, turned into as near a replica of a New Haven J-1 class 2-8-2 as could be accomplished. The Valley runs with its locomotives facing north in regular service, and to take advantage of better sun angles for the photo charter the locomotive was turned to face south (into the sun for most of the day). Unfortunately, the charter ran under cloudy -- and often rainy -- skies for both days so turning the engine resulted in no real benefit from a lighting standpoint. 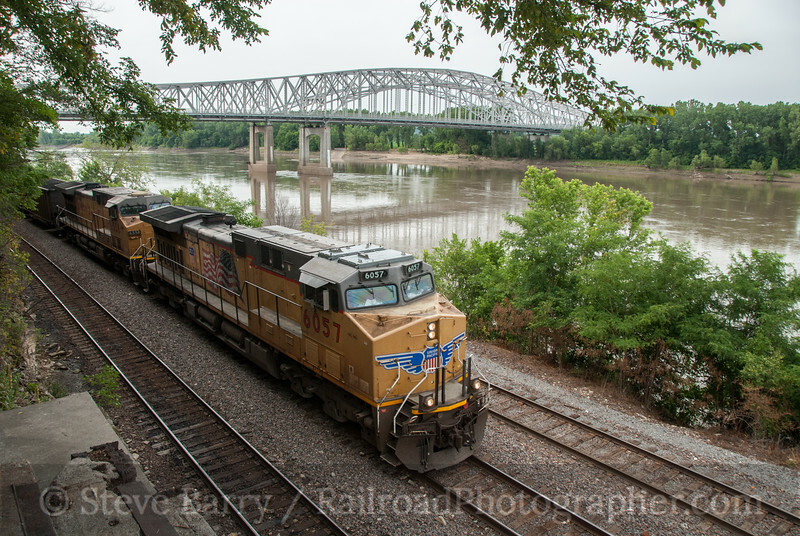 However, at many locations the compositions favored a southbound train, plus the misty wet weather actually enhanced many of the photo opportunities. The wet skies did not result in completely dampening the results of the trip. The trip began in late morning on May 21, pushing the short freight train north from Essex to the far north end of the line at Haddam. Heading back south, many photo opportunities were had at a variety of locations such as Deep River (above). At Chester a 1940 Ford owned by Herb Clarke was brought to the depot by Ralph Hermann. Both the car and Ralph were used as photo props for runbys (below). 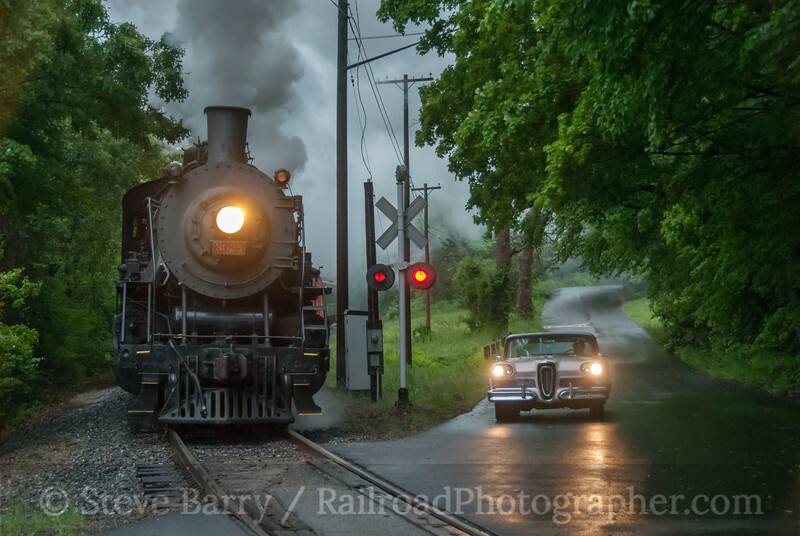 Another highlight was when Paul Horgan brought his 1958 Edsel Citation out for a rainy set of runbys at a grade crossing (lead photo). 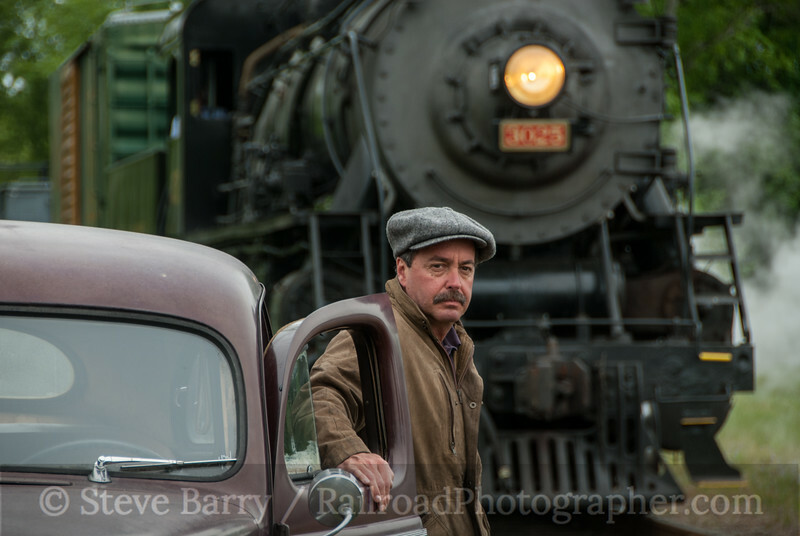 Ralph Hermann and a 1940 Ford at Chester, Conn. The highlight of any Lerro Productions charter is the night photo session, and Monday's did not disappoint. Several scenes were set up, including working on the 3025 at the Valley yard in Essex (below). New Haven 3025; Essex, Conn. 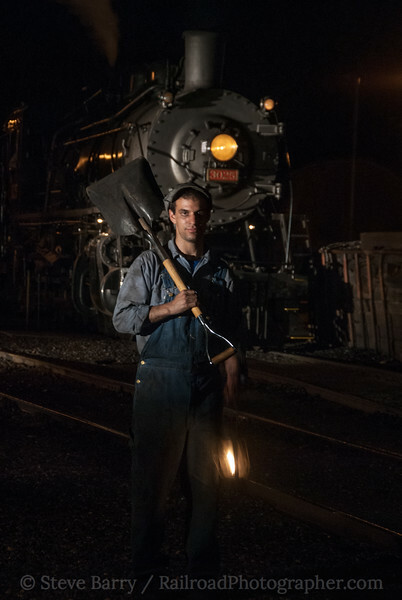 The night photo session endured a short rain delay, but when the precipitation let up the photographers returned to do a Lerro specialty -- railroader portraits. Eric Steinberg and Wayne Hebert posed with the 3025 serving as a backdrop. Shortly after the night session finished the skies opened up in a torrential downpour. The night session was supposed to wrap up at 12:00 midnight, but the rain cut it short at 11:15. For some, this was a blessing, as the Tuesday morning trip departed at 4:45 a.m. looking for a sunrise that wasn't going to happen. (Thanks to Tom Nanos for a place to crash for a few hours mere minutes from Essex). For the second day's photo opportunities the 3025 was hauling the Valley's very tastefully painted passenger consist. The on-and-off rain of Monday had deteriorated to a steady rain on Tuesday, but misty scenes were still able to be recorded. Finally, in early afternoon the train returned to Essex for some switching scenes before the photographers returned to their homes. Many, many thanks to the employees of the Valley Railroad for making this long-talked-about charter a reality. And thanks to Pete Lerro and his crew for yet another successful day of living in the past.